It was a hot summer night well into the wee hours of the morning which, at the time and in that place, a forgotten corner of a forgotten country, was as good time as any other for a kid to be out in the streets killing time with other kids, when he stumbled upon the book. He had entered one of those stores that back in the day used to be opened at all hours carrying all sorts of items including books. He cannot remember what kind of promotion the book was part of but he remembers and will remember forever the exact and symbolic amount the book was selling for: one hundred pesetas (something less than $0.50). One peseta for each year of solitude. He was lucky to have some money left from what he had been given earlier on that evening to visit the Local Provincial Fair. He had heard something about the book and decided to get it. He almost hide it from his friends that didn’t really understand what he was doing and right there he said good night, got rid of the group and went home. It was late, deep in a hot summer night, streets were quiet, everybody sleeping with the windows open. It was the right time, the time when the magic of the night takes over the reality of the day. He read that first line, and the second and the third. In fact he kept turning pages one after the other. He barely felt sleepy or at least he cannot recall feeling too tired at all. The sun came up and he kept reading. He then did his best to ignore the calls from his mother for breakfast and later ignored the calls for lunch and dinner. He spent all day in his room, reading. Since he barely ate or drank anything he didn’t even need to stop to go to the restroom. He was 15 years old, a young kid, it was a distant night in a forgotten corner of a forgotten country and it was well into the wee hours of the following night when he closed the book. 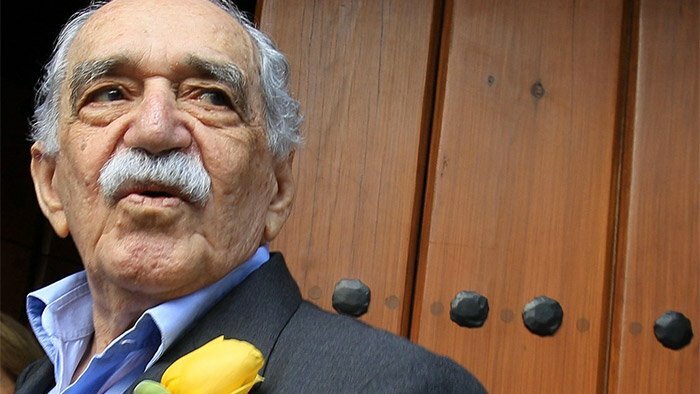 Today, in a different country, many years later in front of the firing squad of the heavy morning traffic, he remembered when Gabo took him to see real life.